Oklahoma State has seen 27,670 folks pass through the turnstiles in Stillwater this weekend for Bedlam basketball and the wrestling dual against Penn State. First, the 46th sellout for hoops in the new GIA came on Saturday as OSU beat OU 96-92. 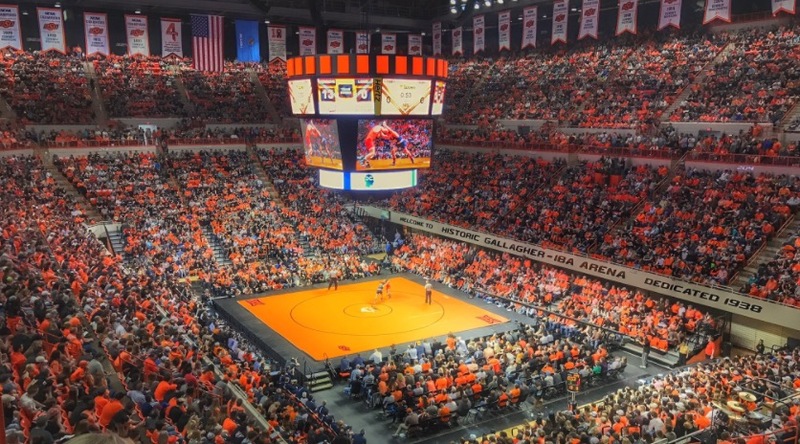 Then, OSU set a new overall Gallagher-Iba attendance record with 14,059 folks at the wrestling dual against Penn State on Sunday. This broke the old record of 14,044 against Missouri in hoops back in 2007. Pretty awesome scene for Poke fans. "Orange Power" chant 30 minutes before the Super Bowl of wrestling?